BRISTOL - The Manross Library was transformed into a place of witchcraft and wizardry on Tuesday afternoon, as children of all ages celebrated the iconic fantasy character Harry Potter’s birthday. 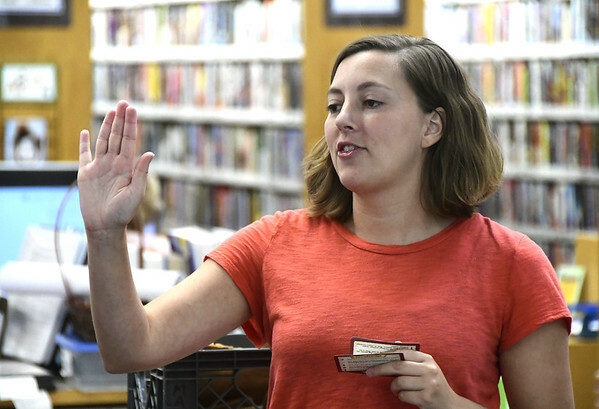 “Author of the Harry Potter series J.K. Rowling cleverly created Harry Potter’s birthday the same day as hers,” explained Christina Carpino, the children’s library assistant. Children, dressed in school attire similar to that worn by the characters in the series, huddled around tables and took part in a variety of crafts and games. Inspired by Pinterest and her love for Harry Potter, she wanted to create a fun event for kids. Carpino created “Sorting Hat cootie catchers” to sort the attendees to their “houses” of Gryffindor, Hufflepuff, Ravenclaw and Slytherin. 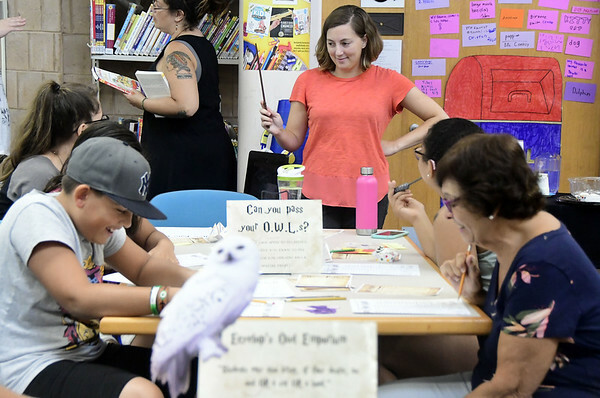 “We also did our ‘Owl Exams,’ which consisted of Harry Potter-themed word searches, matching puzzles, trivia questions and more. 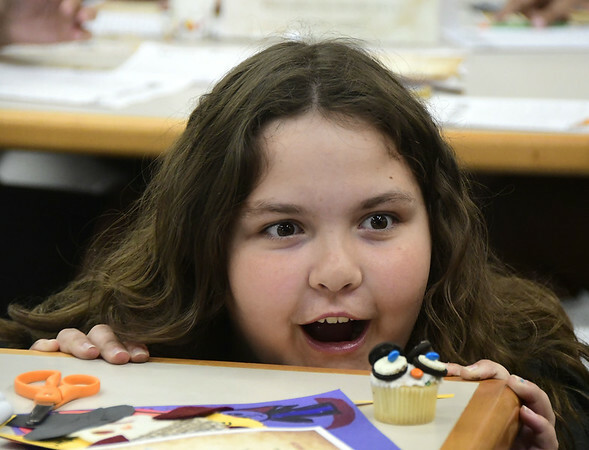 The kids got to design their own housing crests and they made owl cupcakes, like Harry’s feathered, flying companion, Hedwig,” said Carpino. Liam Moulton, a 7-year-old Harry Potter enthusiast, said he came to the free event to have fun. “I’ve read two of the books so far, and I’ve seen all the movies. My favorite one is ‘Deathly Hallows,’ ” Liam said. 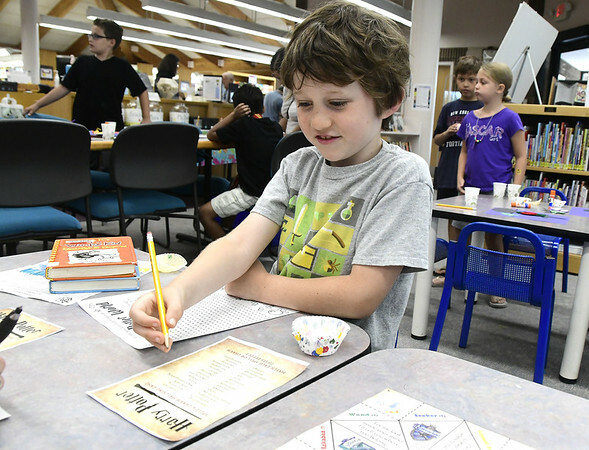 When asked what his favorite part of the event was, he said the word searches and trivia questions. “I found the word ‘Hogwarts’ before my mom did,” he boasted. 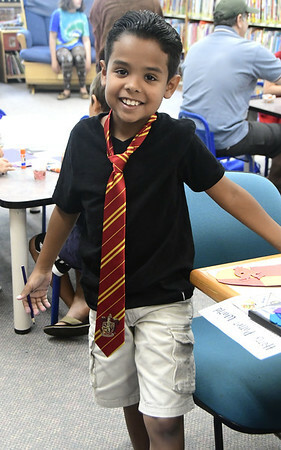 Laughing, his mother, Emily Moulton, said she was happy she had registered Liam for Harry Potter Day. For more information about events and activities being held through the Bristol Public Library, visit www.bristollib.com . Posted in The Bristol Press, Arts, Bristol, Forestville on Tuesday, 31 July 2018 20:27. Updated: Tuesday, 31 July 2018 20:29.